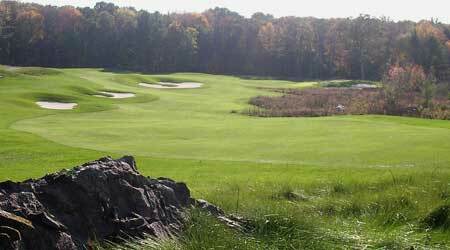 Located in Mountain Top, PA this 18-hole course was turning away large amounts of business due to lack of capacity. The new nine holes were recently opened and will allow management to maximize the potential of the facility. The course was challenging to build as it is carved out of dense forest and rocky soils. These same conditions have also led to the creation of some outstanding golf holes.